Dangal girl Sanya Malhotra got some serious cool moves. Watch Now !! 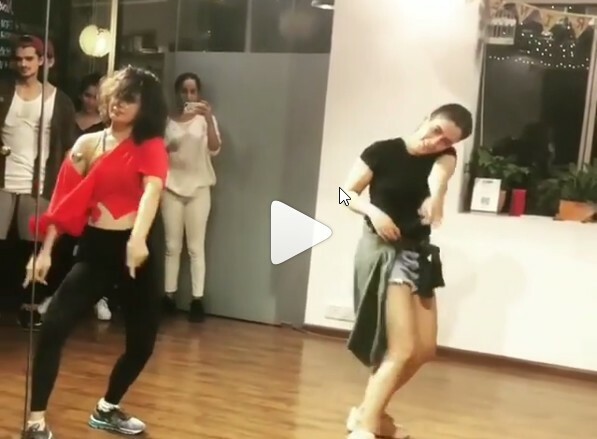 We had no idea this Dangal girl can dance like that!! Do you remember girl from Amir Khan movie Dangal. who had for play role for wrestler Geeta Phogat’s in the biopic on wrestler Mahavir Phogat daughter. she got lots of appreciation from the movie , now her different Avatar making news, recently she posted a dancing video on instagram and you know what she is killing it, this video is getting viral on social media. you will love watching the video.
" Saturday night doing what I love doing the most! Sigh! Attended a dance class after 4 year. Thank you @donny.allstars and @shazebsheikhfor the lovely workshop."